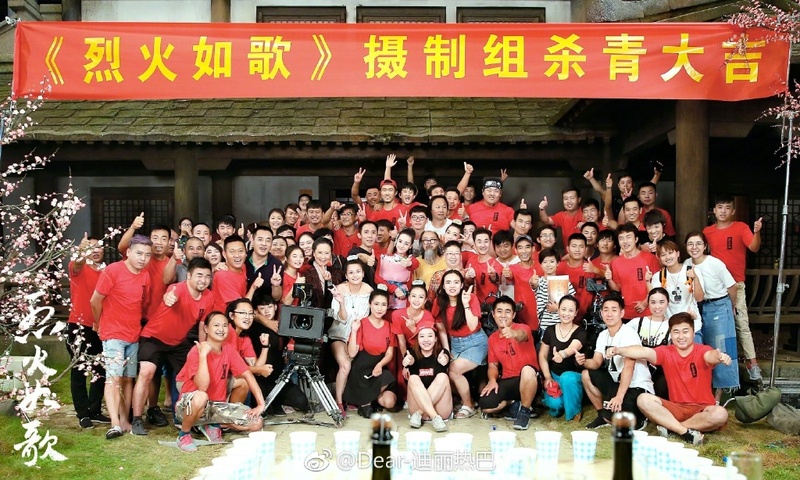 On July 26, The Flame's Daughter 烈火如歌 finally wrapped after 119 days of filming to mark the end of a huge endeavor that had over a thousand cast and crew combined. 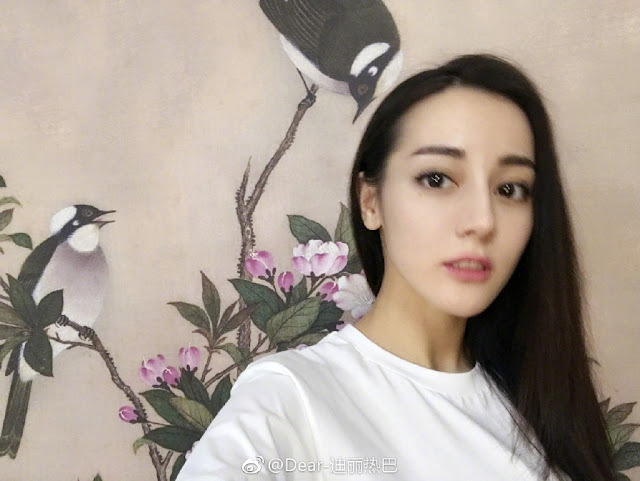 We don't seem to be seeing an onslaught of pictures this time around (we only get two), but it's sweet that many of the cast members posted messages on weibo. As the fiery protagonist Lie Ruge, Dilraba Dilmurat wrote, "Why are my eyes often teary, because my Ge'er (a term of endearment for the heroine) has gone back to the books." Vic Chou is the only one of the four main leads that never made any mention of the show on weibo, but it's hardly surprising considering that his last activity on social media was back in 2015 when he announced his marriage to actress and model Reen Yu. 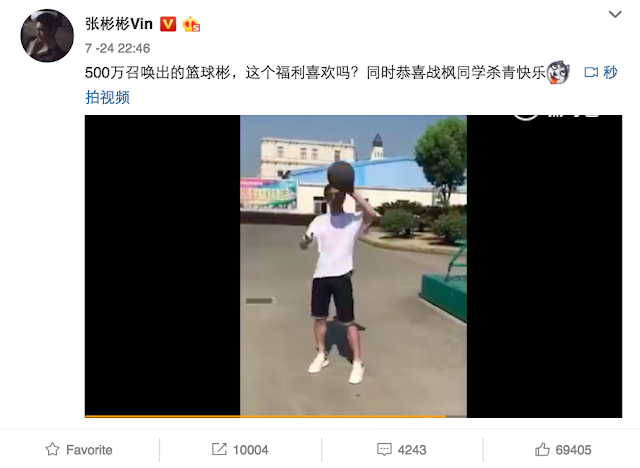 Vin Zhang Binbin posted a video of himself playing basketball and congratulated his character Zhan Feng on completing filming. 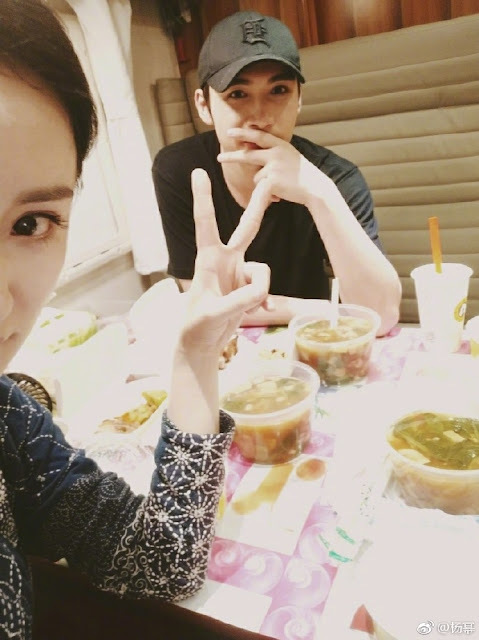 We also see some drama crossovers through a picture of him hanging out with Yang Mi who has started filming for Legend of Fuyao. She wrote, "Thank you to this cute guy and the chicken rice that came from The Flame's Daughter crew from across the river. 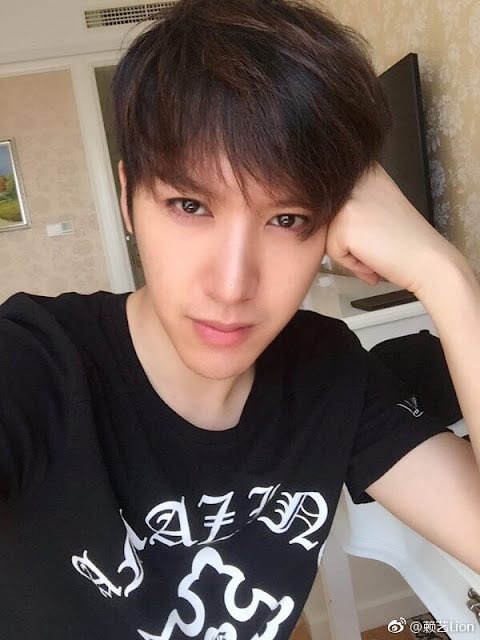 So hungry, eat rice loh." Wayne Liu Rui Lin who plays the royal highness Yu Zi Han left a simple message asking everyone to anticipate The Flame's Daughter. He didn't share any pictures of himself and it's interesting to note that even his profile pic is not his. 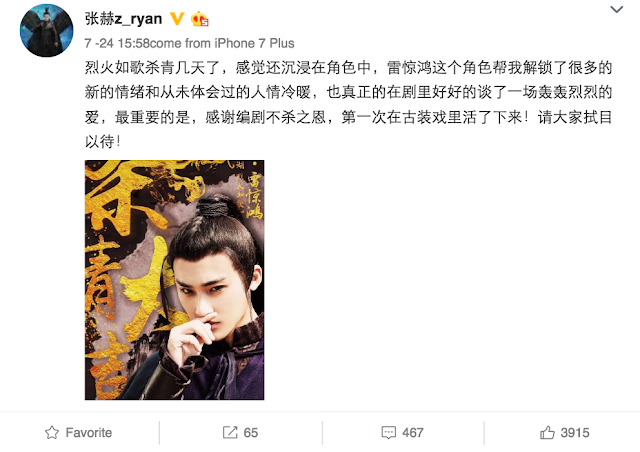 Lion Lai Yi thanked the crew for taking care of him for four months and expressed his anticipation for the dark night to reappear next year. 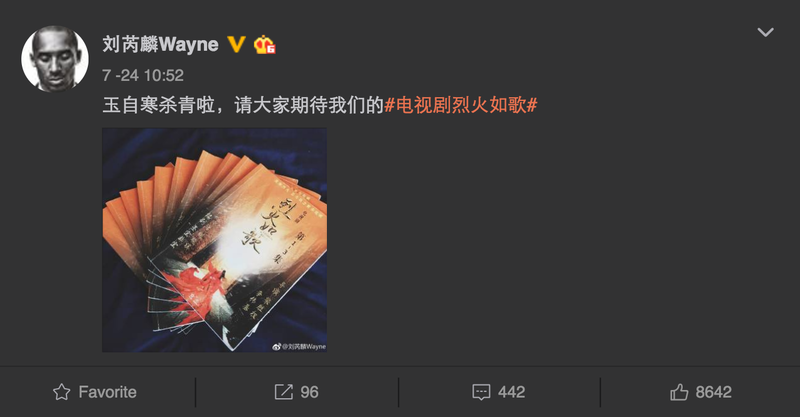 His allusion to darkness makes sense when you realize that he is referring to his character An Yue Luo (Dark Night Luo). Perhaps unsurprisingly, he plays a big villain in this one. Gong Beibi wrote, "Said goodbye to the 40 degree weather in Xiang Shan and said goodbye to the layers and layers of costumes and the cute face mask. After approximately four months of filming The Flame's Daughter, it wrapped beautifully today. Thank you to all the personnel and actor friends! Very glad to meet and work with you. Love you!"